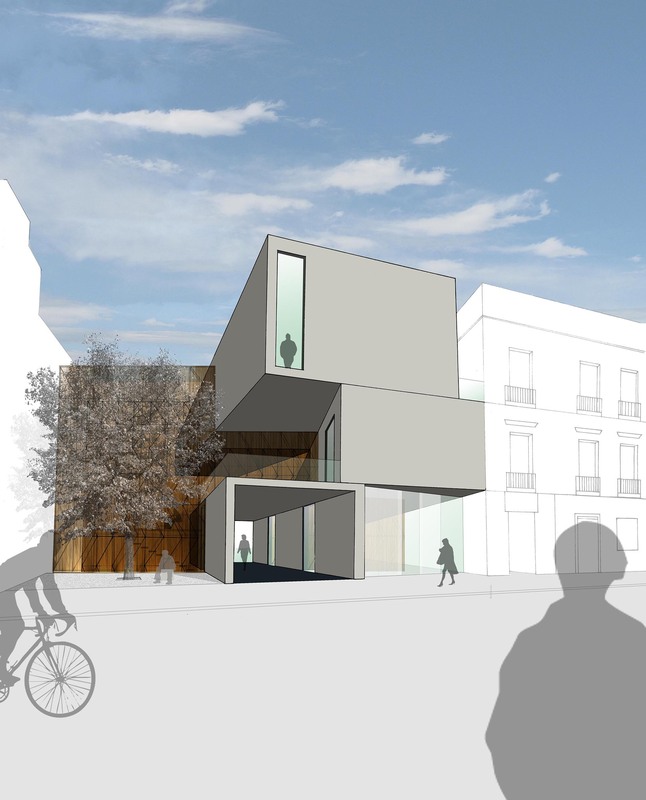 This concept is for a new headquarters for the Fundacion Arquitectura Contemporanea (FAC) in Córdoba, Spain. 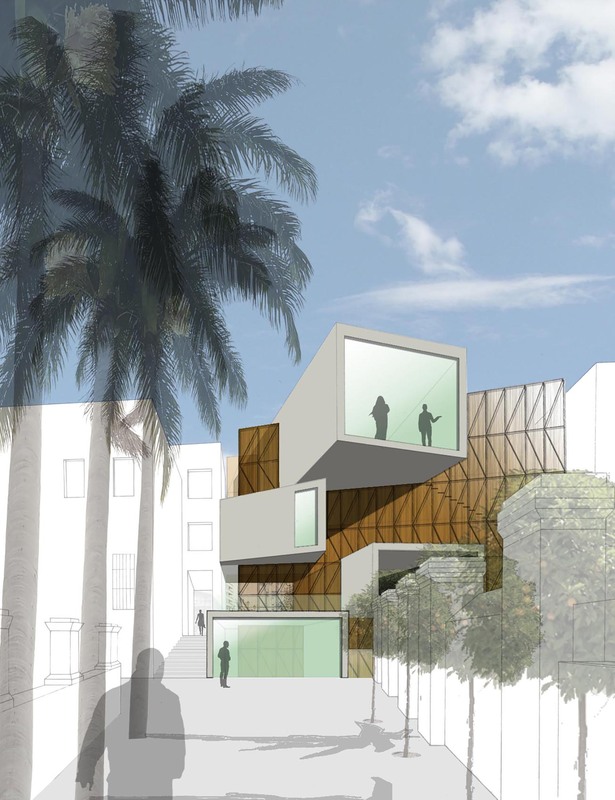 The brief called for a building that would provide offices for the administrative staff of the FAC, conference facilities and public-facing areas, including exhibition space, a bookshop and cafeteria. The site has been identified as a gateway for the public into the gardens contained within the city block beyond. The proposal is for a building as thoroughfare, where the users of the building can literally connect with the Roman archeological remains that run through the site below street level.